Looks a fair bit like Voodoo... I can't imagine there has been approval for Club blau yet (if ever). Very nice!!! I agree it looks like Voodoo Blue. Congrats to the lucky owner. 1000times thank you Frank for sharing!! can´t wait to see a/the maritime one! My Maritime Blue RS is ON THE BOAT! Left Emden for Jacksonville on the 28th! i´m counting the days with you Steven! 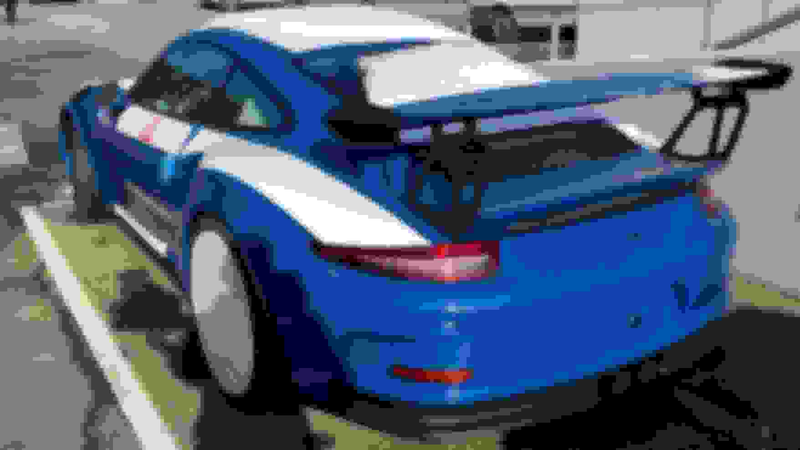 I'm a liitle surprised your car is being delivered 3 months earlier than mine, I would have thought Porsche would paint the same color PTS cars in the same batch. been approval for Club blau yet (if ever). Very nice!!! in this thread. I know because I drool when o see it. saw the car in person. It could very well be 'Gelbgrün'! My car is RS green and scheduled for delivery 5/20. I thought the same. The GM at my local dealership told me after speaking with the fellow who deals with PTS scheduling (low level intel I know) that the factory typically does only two PTS cars per day so they don't batch them. Must be when they are shooting greens. Same delivery date for Birch green. My Viper Green goes into production in a couple of weeks. I think it's mid March delivery from memory. Can't wait to see yours. Thanks! Signal is an awesome color as well. I debated between the two but decided on RS green as it is the only one I actually ever saw in person. Voodoo and Maritime were also strong candidates. You may be right on that. I expect the car to be delivered earlier than 5/20. I think Porsche gives a worst case scenario for delivery. For example, my GT3 arrived 4 weeks early. All times are GMT -3. The time now is 11:56 AM.